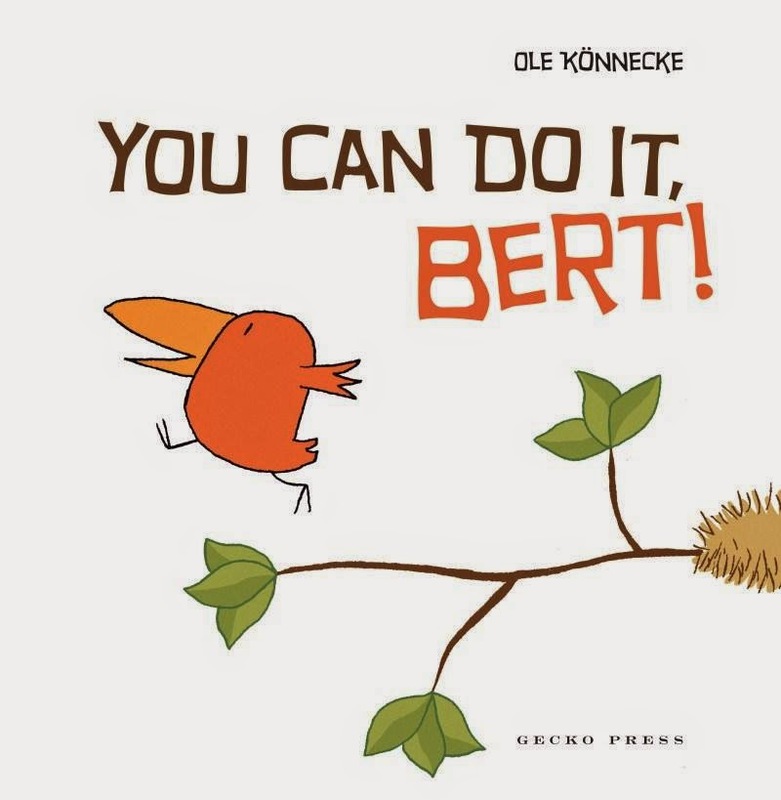 Kids' Book Review: Review: You Can Do It, Bert! Review: You Can Do It, Bert! Bert is ready to fly. Yes. Yes. He is. He's mentally and physically prepared. He's ready to roll. But wait. He has to do something else. Eat a banana. Of course. Why is he stalling?? Get on with it, Bert! A funny, fantastic story for reading aloud and for building suspense, especially with really young kids. I particularly love the simple yet utterly adorable illustrations, loads of white space and surprise ending. What are you up to next, Bert?